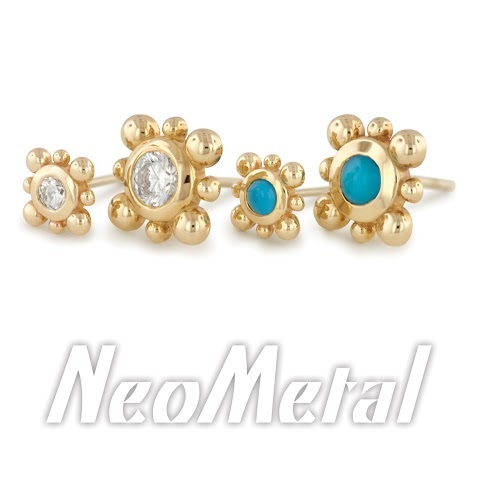 NeoMetal is a threadless push pin style jewelry that is secured, and if secured properly should not fall out. NeoMetal is one of our shops biggest sellers for initial & upgraded piercings. Once you have your downsized Neo Post all you have to do is purchase the tops and change them out. ** New 16g Universal Posts are now Available - all 18g Ends fit on all the new 16g Universal Posts! Please take a look at their Catalog for more information on their jewelry. For Gem Options, Gem Sizes & How the Jewelry Works just click here.